In Calgary, Alberta on February 4th in the evening. We have some in-person sessions to explore issues of importance to Canadians. 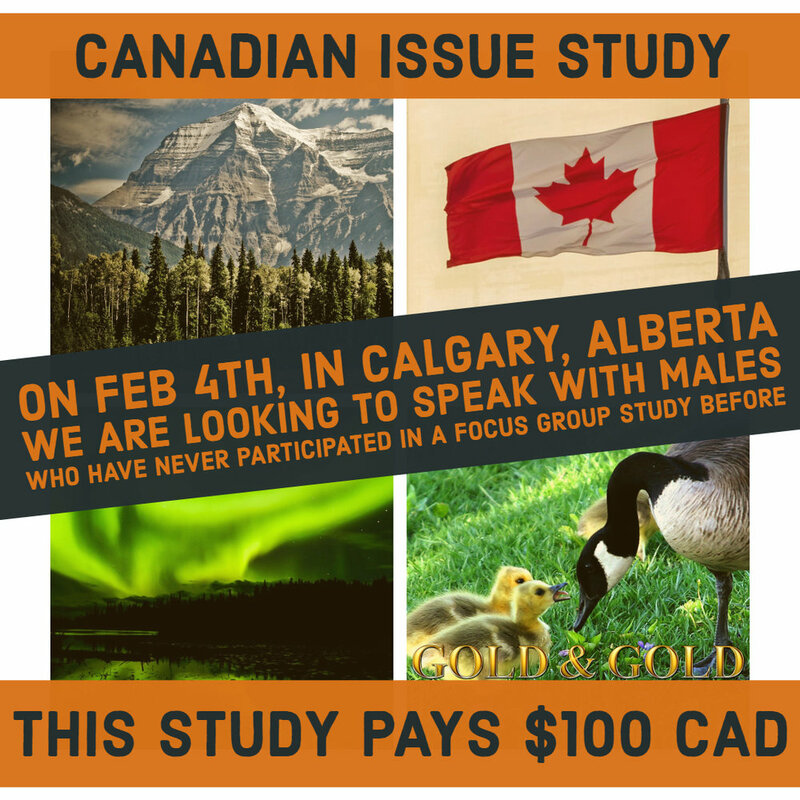 Specifically, we are looking to speak with males aged 35 to 74 years old, who have never participated in a focus group study before.